Not too long ago, we got a call from a new OR manager who had recently replaced a very nice and long-time customer of ours. Before she retired, the old OR manager went through, with her replacement, all the vendors she used, including Meditek. One of the new OR manager’s first tasks was to buy a new surgical table. They were bringing on a new surgeon who was going to expand the capabilities of the operating room. The first conversation we had with her dove into more of what we could offer as a surgical table solution. When she called back for our second conversation, we focused on getting her a list of the proper, most essential surgical table accessories for the relevant procedures. That’s when we decided to come up with a list of the most important surgical table accessories that an operating room should have. Please keep in mind that this list may change, depending on what procedures you are doing in your operating room, and the ten surgical table accessories listed here are only suggestions. Clamps. One of the most basic accessories, but nevertheless completely essential as many other accessories, such as stirrups, armboards, anesthesia screen, etc., attach to your table with clamps. There are two basic types that you may need, depending on what you are attaching. Those are flat-blade and round-post. One thing to keep in mind is that side rails are not always the same width, so make sure that your clamps will open to those variations. A major difference in price for clamps is how fast and convenient they are. For example, some clamps may attach instantly and can be attached anywhere, whereas other lower-end clamps may only attached to specific places on the table. Prices can range from $150 to $4,000, but the average is around $250 to $400. Armboards. Arguably, arm boards may be the most important positioning device for your procedures. Simple in design and function, arm boards provide vital positioning support. 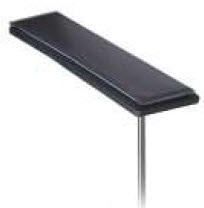 Look for your armboard to have the ability to attach quickly to the table, easily attach to different sections of the table, easily adjust, and be stable and secure. Prices can range from $400 to $6,000, but the average is around $1,000 to $1,500. Lateral patient transfer devices. Essentially, there are three levels of patient transfer devices. You have the very basic, which may be a sheet or a board. While you’ll definitely save money, possible injuries to staff and patients may rise significantly. The second level is devices with rollers, such as the proven industry-best Samarit. These make it simple to transfer patients, while keeping setup time down to a minimum, as there is no setup! The last option is the most expensive, but it also may be the best choice for heavier patients. Air-assisted transfer devices allow for a smooth and easy transfer but may take a little more time in setup. Prices can range from $150 to $2,000, but the average is around $500 to $800 for middle level devices and $2,000 for air-assisted devices. Fluid management system. Urology procedures make containing fluids an important part of the process. This system usually contains a drain pan, drain hoop and drain bag. You may have to choose between disposable or reusable systems. While one may be more economically beneficial than the other, the convenience of the disposable may save on time and help reduce cross-contamination. Prices can range from $900 to $2,000 for the complete system, but the average is around $1,250 to $1,500. Restraint Straps. Liability from avoidable accidents in the OR is a huge consideration nowadays. Patient safety is usually priority number one and securing the patient with restraint straps is super important. Restraint straps made of durable material are best. This ensures that they can repeatedly tolerate extensive cleaning while withstanding the stresses put on them. Prices can range from $20 to $2,000, but the average is around $200 to $300. Head supports. Different procedures require differing head positions. You should have a range of head supports on hand to cover the procedures your facility has planned. These may include various attachable headrests, gel pads and cushions. Prone position procedures would require a doughnut headrest that permits breathing while supporting the patient’s face. Prices can range from $1,000 to $5,000, but the average is around $1,500 to $2,000. For head gel pads, prices range from $100 to $400. Boot stirrups and other leg positioners. In the case of the new OR manager above, they really wanted to start focusing on urology cases more than they had in the past. We talked about booted stirrups versus other leg positioners. Non-booted leg positioners, such as candy-cane stirrups can be very uncomfortable and potentially damaging to nerves. Positioning can be difficult and time-consuming. Alternatively, booted stirrups, such as industry-leading Allen Medical Yellofins®, engulf the patient’s foot and leg into a comfortable cushion, which also helps with pressure distribution and minimizing nerve damage. Allen Medical Lift-Assist® functionality makes positioning easier, while locking into place for safety. Prices can range from $250 to $16,000, but the average is around $3,000 to $4,000. Arm and hand surgery tables. Does your facility do a lot of upper-extremity procedures? If so, arm and hand surgery tables are a must. There are three things to look for. They should be lightweight and radiolucent-friendly for imaging. They should have an optional support leg, which can be used as per surgeon preference. Prices can range from $700 to $7,000, but the average is around $2,000 to $3,000. Anesthesia screens. With outpatient/day surgery becoming more popular, patients are more likely to go under conscious sedation. Thus, patient comfort is more important than ever. Anesthesia screens separate the patient’s view from the surgical field, which could protect them from any unpleasantness. These screens also help with infection control. Prices can range from $250 to $3000, but the average is around $400 to $500. Knee holders. If your facility does arthroscopic procedures, you may already know that 70% of those are done on the knee. The most important factor for your knee holder is what your surgeons think of it. They must be comfortable with how it manipulates and how stable it is during a procedure. Other important factors include the knee holder being lightweight, able to conform to the patient’s leg, able to set up quickly, and minimize or eliminate altogether pinch points. Prices can range from $600 to $5,000, but the average is around $1,500 to $2,000. Meditek is a supplier of accessories for many surgical table brands, including Skytron, Biodex, Steris and Maquet. Need a quick quote for a surgical table accessory? Fill out the form below.